Results of the EORTC10085/TBCRC/BIG/NABCG International Male Breast Cancer Program conducted in both Europe and in the United States and presented at the 2014 San Antonio Breast Cancer Symposium December 9-13, 2014. found significant improvement in survival for men with breast cancer, but this improvement was not as good as that observed for women. The study, which included 1822 men treated for breast cancer between 1990 and 2010, provides much needed information about the clinical and biological characteristics of male breast cancer. Dr. Fatima Cardoso of the Champalimaud Clinical Center in Lisbon, Portugal, and coordinator of this study says, "This study aims to characterize the biology of this rare disease; only with this crucial knowledge will men with breast cancer be properly treated in the future, which will definitely improve both their survival and quality of life." Of all cancers diagnosed in males, breast cancer accounts for less than one percent, and male breast cancer also accounts for less than one percent of all breast cancer diagnoses. There are, however, African countries reporting a high incidence of male breast cancer, and these include Uganda, 5%, and Zambia, 15%. Nevertheless, even though it is considered a rare disease, male breast cancer remains frequently lethal. In 2013 estimates indicated just 2,240 new cases of male breast cancer in the United States yet, alarmingly, 410 deaths. Today, male breast cancer is not well understood, and the best way to treat this disease is not yet known. Currently, treatment strategies for men afflicted with this disease are based on those treatmemts that have been used successfully for women, and research on the differences between men and women regarding the characteristics of this disease has been sorely needed. In a contribution to an extraordinary international scientific collaboration, the University of Sydney found that genomic 'fossils' of past viral infections are up to thirteen times less common in birds than mammals. "We found that only five viral families have left a footprint in the bird genome (genetic material) during evolution. Our study therefore suggests that birds are either less susceptible to viral invasions or purge them more effectively than mammals," said Professor Edward Holmes, from the University of Sydney's Charles Perkins Centre, School of Biological Sciences and Sydney Medical School. "The results shed light on virus-host interactions across 100 million years of bird evolution." Professor Holmes is one of 200 scientists worldwide who have taken part in the ambitious scientific effort to sequence, assemble and compare the full genomes of 48 bird species. After four years of collaboration the findings are published in Science and simultaneously in associated publications on December 12, 2014. Their insights include how birds arrived at the spectacular biodiversity of more than 10,000 species. Professor Eddie Holmes is an author on the first flagship paper published inScience. "This exciting flagship paper presents a comprehensive history of how bird genomes have evolved along with a new family tree for birds. It also briefly covers our research on viral fossils in birds, covered in more detail in an article published (online on December 11, 2014) in Genome Biology," said Professor Holmes. "One of the most striking findings is the small size of bird genomes, and the small number of fossil viruses seems to match this," said Dr. Holmes. Together with his postdoctoral student Dr.
As a fundamental unit of life, the cell is central to all of biology. Better understanding of how complex cells evolved and work promises new revelations in areas as diverse as cancer research and developing new crop plants. But deep thinking on how the eukaryotic cell came to be is astonishingly scant. Now, however, a bold new idea of how the eukaryotic cell and, by extension, all complex life came to be is giving scientists an opportunity to re-examine some of biology's key dogma. All complex life -- including plants, animals, and fungi -- is made up of eukaryotic cells, cells with a nucleus and other complex internal machinery used to perform the functions an organism needs to stay alive and healthy. Humans, for example, are composed of 220 different kinds of eukaryotic cells -- which, working in groups, control everything from thinking and locomotion to reproduction and immune defense. Thus, the origin of the eukaryotic cell is considered one of the most critical evolutionary events in the history of life on Earth. Had it not occurred sometime between 1.6 and 2 billion years ago, our planet would be a far different place, populated entirely by prokaryotes, single-celled organisms such as bacteria and archaea. For the most part, scientists agree that eukaryotic cells arose from a symbiotic relationship between bacteria and archaea. Archaea -- which are similar to bacteria but have many molecular differences -- and bacteria represent two of life's three great domains. The third is represented by eukaryotes, organisms composed of the more complex eukaryotic cells. 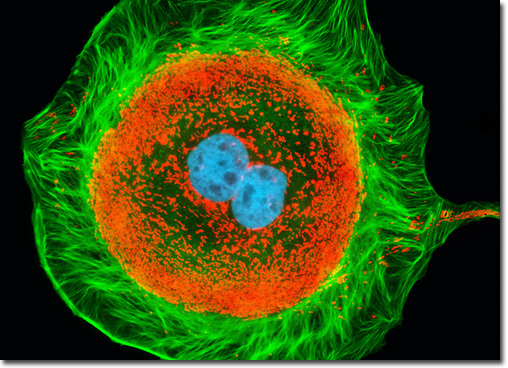 Eukaryotic cells are characterized by an elaborate inner architecture. Frequent kidney dialysis is essential for the approximately 350,000 end-stage renal disease (ESRD) patients in the United States. But it can also cause systemic inflammation, leading to complications such as cardiovascular disease and anemia, and patients who rely on the therapy have a five-year survival rate of only 35 percent. Such inflammation can be triggered when the complement cascade, part of the body's innate immune system, is inadvertently activated by modern polymer-based dialysis blood filters. New work by University of Pennsylvania (Penn) researchers has found an effective way to avoid these problems by temporarily suppressing complement during dialysis. Their work appeared online on November 3, 2014 in Immunobiology. Over the past several years, lead author John Lambris, Ph.D., the Dr. Ralph and Sallie Weaver Professor of Research Medicine, Perelman School of Medicine at the University of Pennsylvania, and his colleagues have developed small molecule versions of the drug compstatin, which inhibits a component of the complement immune response called C3. Dr. Lambris explains that this next-generation compound, called Cp40, "is a small peptide similar to cyclosporine in many aspects, however it uses a different mechanism of action." Previous studies by Dr. Lambris and his team, in which modern polymer-based hemodialysis filters were perfused with human blood, showed significant complement activation and an increase in inflammatory biomarkers. This response could be suppressed using compstatin, suggesting that it might be used in dialysis to decrease the inflammatory response side effect. Immune cells perform a previously unsuspected role in the brain that may contribute to obesity, according to a new study by UC San Francisco researchers. When the scientists fed mice a diet high in saturated milk fats, microglia, a type of immune cell, underwent a population explosion in the brain region called the hypothalamus, which is responsible for feeding behavior. The researchers used an experimental drug and, alternatively, a genetic approach to knock out these microglia, and both strategies resulted in a complete loss of microglia-driven inflammation in the hypothalamus. Remarkably, doing so also resulted in the mice eating less food each day than did their untreated counterparts, without any apparent ill effects. Furthermore, removing microglia from mice only reduced food intake when the content of saturated fat from milk in their diets was high. It had no effect on mice fed a low-fat diet, or a diet high in other types of fat, including olive oil or coconut oil. UCSF postdoctoral fellow Martin Valdearcos Contreras, Ph.D., first author on the paper, published online on December 11, 2014 in an open-access article in Cell Reports, discovered that when mice consumed large amounts of saturated fats, the fat entered their brains and accumulated in the hypothalamus. According to the senior scientist for the study, Suneil Koliwad, M.D., Ph.D., an assistant professor of medicine at the UCSF Diabetes Center, the microglia senses the saturated fat and sends instructions to brain circuits in the hypothalamus. These instructions are important drivers of food intake, he said. Microglia are primarily known for causing inflammation in the brain in response to infection or injury, but the new study indicates that they also play a key role in shaping the brain's response to diet, according to Dr. Koliwad. White adipose tissue stores excess calories as fat that can be released for use in other organs during fasting. Mammals also have small amounts of brown adipose tissue, which primarily acts as an effective fat burner for the production of heat. Now, researchers from the University of Southern Denmark and colleagues have uncovered the mechanism by which white fat cells from humans are reprogrammed to become browner. Browning of white adipose tissue increases the energy consumption of the body and therefore constitutes a potential strategy for future treatment of obesity. The challenge is to reprogram the energy-storing white fat cells into so-called "brite" (brown-in-white) fat cells in the body's white adipose tissue and thus make adipose tissue burn off excess energy as heat instead of storing it. The research team from the Department of Biochemistry and Molecular Biology headed by Professor Susanne Mandrup published a paper entitled "Browning of Human Adipocytes Requires KLF11 and Reprogramming of PPAR Super-Enhancers" online on December 12, 2014 in Genes & Development that describes their results from working with "brite" fat cells. "We have investigated how the genome of white adipocytes is reprogrammed during browning using advanced genome sequencing technologies. We stimulated browning in human white adipocytes by a drug used to treat type II diabetes and compared white and "brite" fat cells. This showed that "brite" fat cells have distinct gene programs which, when active, make these cells particularly energy-consuming," says Dr. Mandrup . Using a basic genetic difference between men and women, the Translational Genomics Research Institute (TGen) has uncovered a way to track down the source of a neurological disorder in a young girl. TGen's discovery relies on a simple genetic fact: men have one X and one Y chromosome, while women have two X chromosomes. This women-only factor was leveraged by TGen investigators to develop a highly accurate method of tracking down a previously unrecognized disorder of the X-chromosome. The study of a pre-teen girl, who went years with an undiagnosed neurobehavioral condition, was published online on December 13, 2014 in an open-access article in PLOS ONE. TGen's findings were made within its Dorrance Center for Rare Childhood Disorders, where investigators and clinicians apply the latest tools of genomic medicine to provide answers for parents seeking to identify the disease or disorder affecting their child. The scientists sequenced, or spelled out in order, the complete genetic codes of DNA and RNA of the girl. Because girls inherit an X chromosome from each of their parents (boys inherit a Y chromosome from their father), the scientists also sequenced the girl’s mother and father. On average, about half of all X chromosomes active in a female come from the mother and the other half from the father. "We now have the tools to significantly accelerate the diagnostic process, reducing the need for children to undergo multiple tests that can be emotionally and physically taxing for the entire family," said Dr. David Craig, TGen's Deputy Director of Bioinformatics, Co-Director of the Dorrance Center and the paper's senior author. Sequencing would reveal the proportion of X chromosomes, and if disproportionate, whether the more abundant of the two were damaged in some way, which often leads to X-linked genetic conditions. Scientists at Johannes Gutenberg University Mainz (JGU) in Germany have discovered a new signaling pathway in the brain that plays an important role in learning and the processing of sensory input. It was already known that distinct glial cells receive information from neurons. However, it was not known that these same glial cells also transmit information to neurons. The glia release a specific protein fragment that influences neuronal cross-talk, most likely by binding to the synaptic contacts that neurons use for communication. Disruption of this information flow from the glia results in changes in the neural network, for example during learning processes. The research team composed of Dr. Dominik Sakry, Dr. Angela Neitz, Professor Jacqueline Trotter, and Professor Thomas Mittmann unravelled the underlying mechanism, from the molecular and cellular level to the network and finally the resulting behavioral consequences. Their findings constitute major progress in understanding complex pathways of signal transmission in the brain. In mammalian brains, glial cells outnumber nerve cells, but their functions are still largely unelucidated. A group of glial cells, so-called oligodendrocyte precursor cells (OPC), develop into the oligodendrocytes which ensheathe neuronal axons with a protective myelin layer, thus promoting the rapid transmission of signals along the axon. Interestingly, these OPCs are present as a stable proportion – some five to eight percent of all cells in all brain regions, including adult brains. The Mainz-based researchers decided to take a closer look at these OPCs. Their research results were published online on November 11, 2014 in an open-access article in PLOS Biology. The Ebola virus travels from person to person through direct contact with infected body fluids. But how long can the virus survive on glass surfaces or countertops? How long can it live in waste water when liquid wastes from a patient end up in the sewage system? In an article published December 9, 2014 in the journal Environmental Science & Technology Letters, Dr. Kyle Bibby of the University of Pittsburgh reviews the latest research to find answers to these questions. He and his co-investigators did not find many answers. "The World Health Organization has been saying you can put (human waste) in pit latrines or ordinary sanitary sewers and that the virus then dies," says Dr. Bibby, assistant professor of civil and environmental engineering in Pitt's Swanson School of Engineering. "But the literature lacks evidence that it does. They may be right, but the evidence isn't there." Dr. Bibby and colleagues from Pitt and Drexel University explain that knowing how long the deadly pathogen survives on surfaces, in water, or in liquid droplets is critical to developing effective disinfection practices to prevent the spread of the disease. Currently, the World Health Organization guidelines recommend to hospitals and health clinics that liquid wastes from patients be flushed down the toilet or disposed of in a latrine. However, Ebola research labs that use patients' liquid waste are supposed to disinfect the waste before it enters the sewage system. Dr. Bibby's team set out to determine what research can and can't tell us about these practices. The researchers scoured scientific papers for data on how long the virus can live in the environment. They found a death of published studies on the matter. 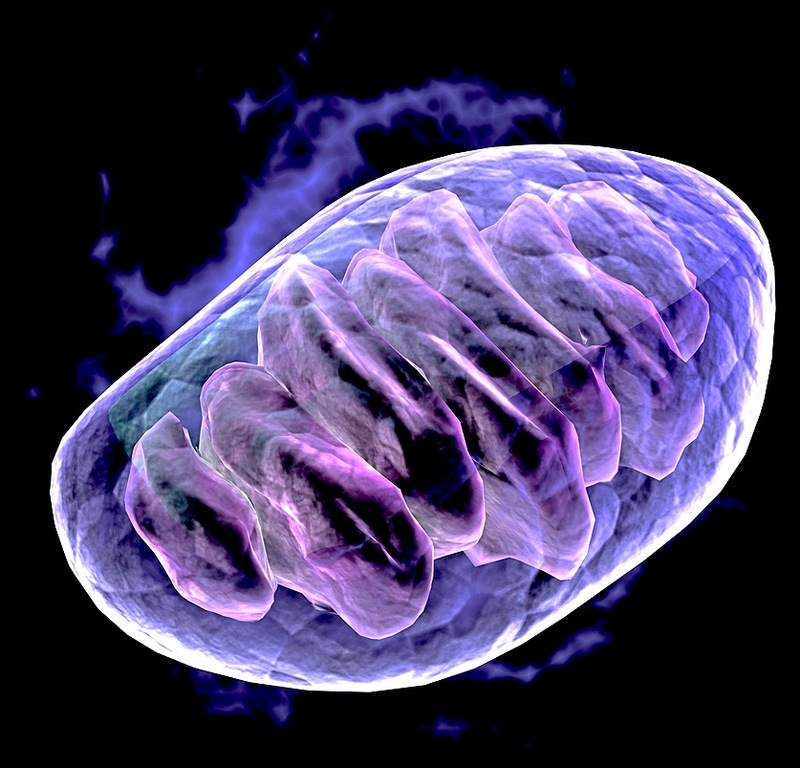 Diseases of dysfunctional mitochondria are relatively rare, with a prevalence of 1/2000-4000. They predominantly affect children, however adult-onset disorders are also recognized. An international collaborative effort of fifteen clinical and/or research centers from the UK, Germany, Ireland, France, Belgium, Austria Italy, Israel, and Japan led by Dr. Michal Minczuk from the MRC MBU in Cambridge and Dr. Holger Prokisch from the Institute of Human Genetics, Helmholtz Centre in Munich resulted in the discovery that mutations in the GTPBP3 (GTP-binding protein 3) gene cause defects in protein synthesis in mitochondria and are associated with a devastating disease. The patients affected by this disease have deficiency in energy production and suffer from heart and neurological disease. The research was reported in the December 4, 2014 issue of the American Journal of Human Genetics in an open-access article. Mitochondria are compartments present in every cell of the body (except red blood cells) and are responsible for generating almost all of the energy needed by the body to sustain life and to grow. In mitochondria, energy is produced by a large number of proteins, which are manufactured according to a blueprint, the cell’s DNA. Most of these proteins are encoded by DNA that is contained within the cell nucleus (nuclear DNA), however, the remaining portion is encoded within a small DNA molecule found inside mitochondria. This molecule is called mitochondrial DNA (mtDNA) or the mitochondrial genome. The mitochondrial DNA must be transcribed into RNA and the RNA translated into proteins. If the mitochondrial genome is not properly expressed, then mitochondrial proteins will not be properly made, and the cell will not be able to produce energy in a useful form.